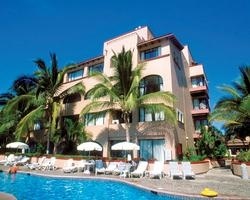 *Ixtapa Palace Resort* is just half a mile from the beaches of Playa del Palmar! 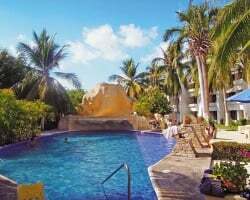 Racquetball, squash, tennis, pools, a waterslide, miniature golf, an aquatic park with sixteen slides, and spa facilities are all part of the resort's charm! Nearby, shops, clubs and numerous water sports and beaches offer a second array of entertainment options. RCI members receive 50% off the aquatic park rate! For more information, visit www.ixtapapalaceresort.com. Stunning resort with spectacular amenities! Yearly in August week 32 w/ RTU until 2039! Buyer may receive a title fee credit; inquire for details! Motivated seller! Come to Mexico every year in week 11! Buyer may receive a title fee credit, inquire for details!